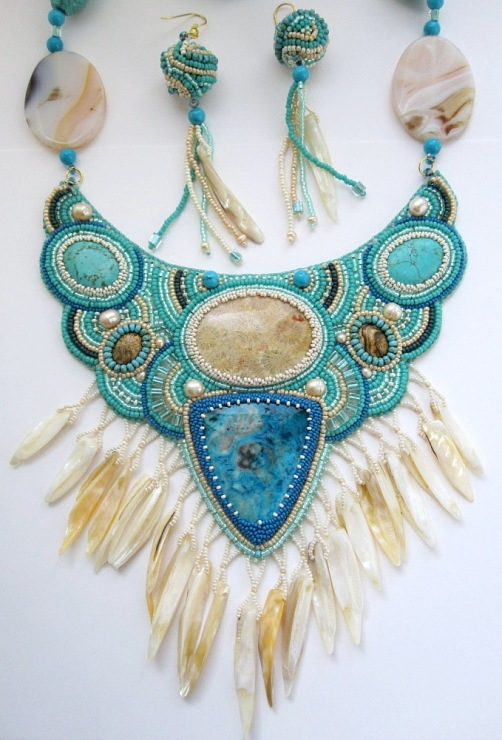 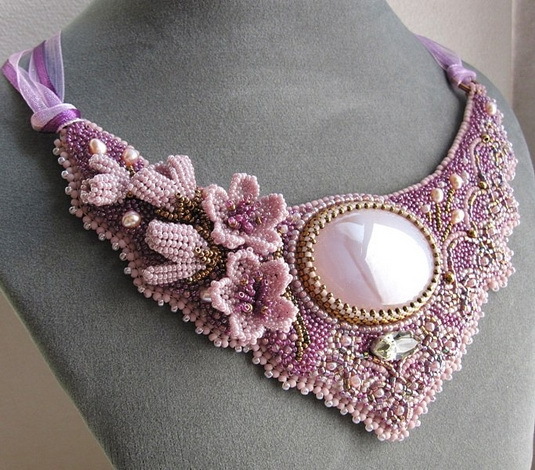 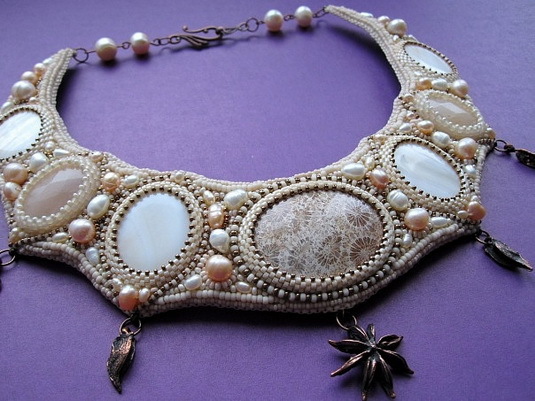 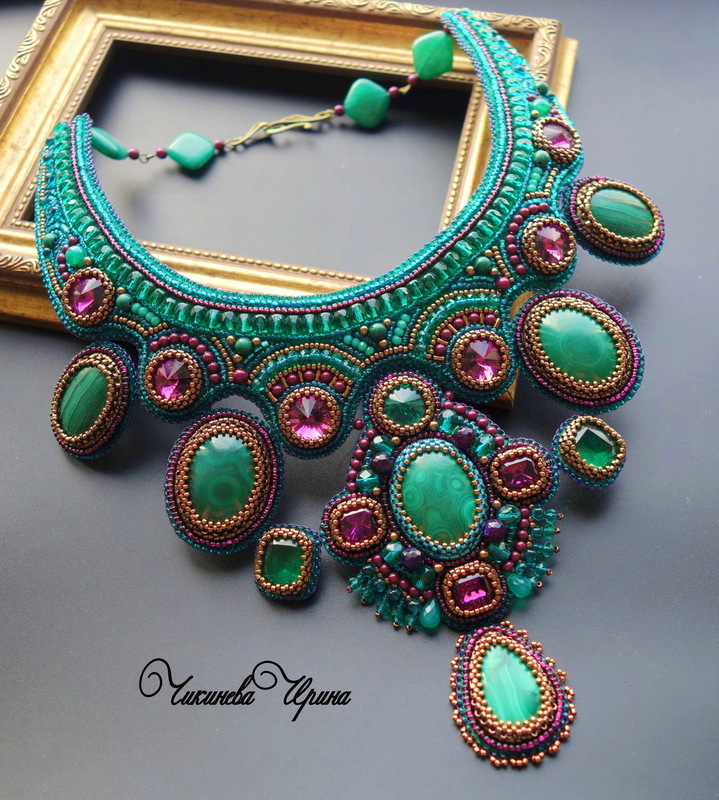 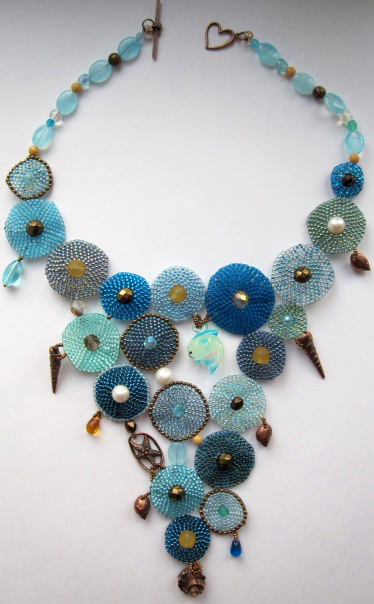 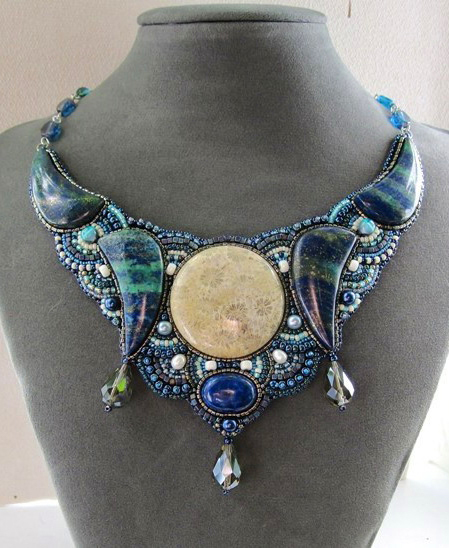 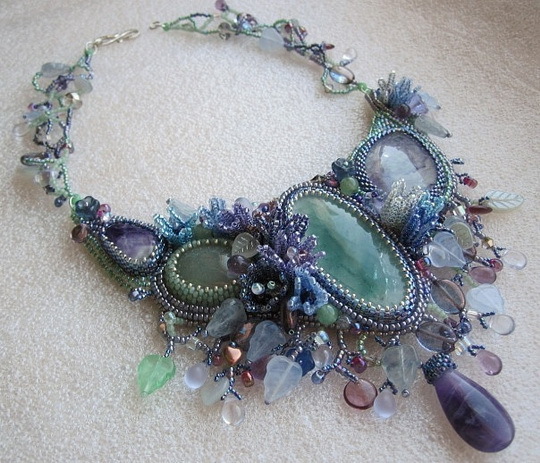 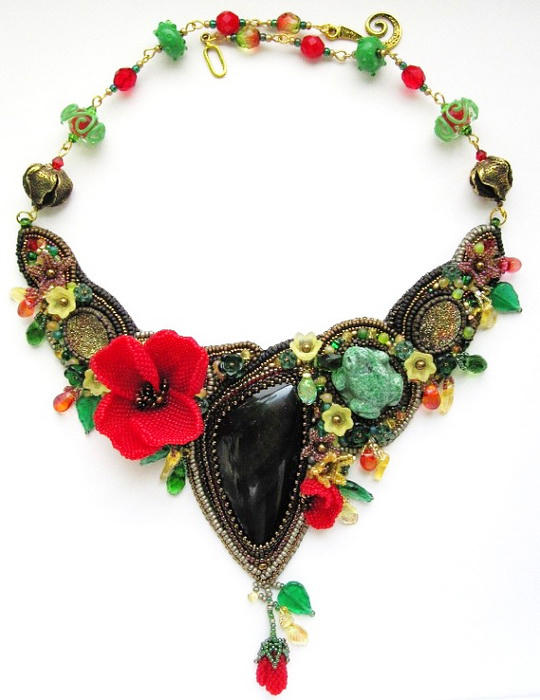 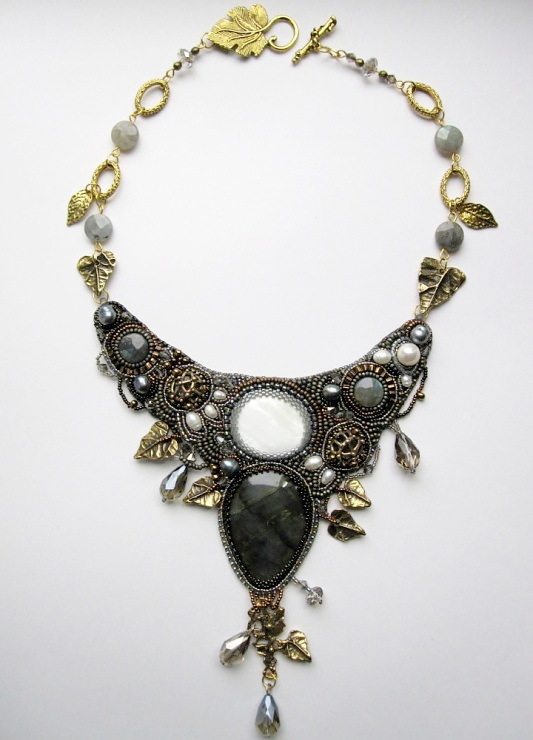 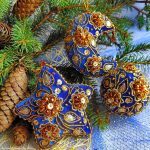 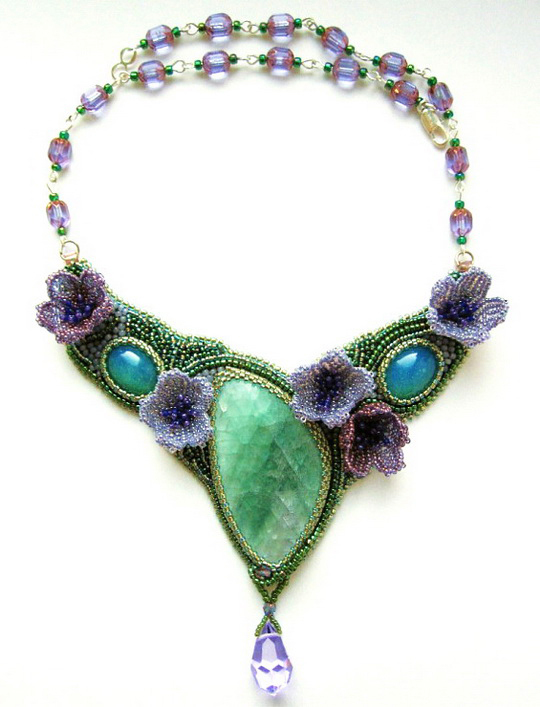 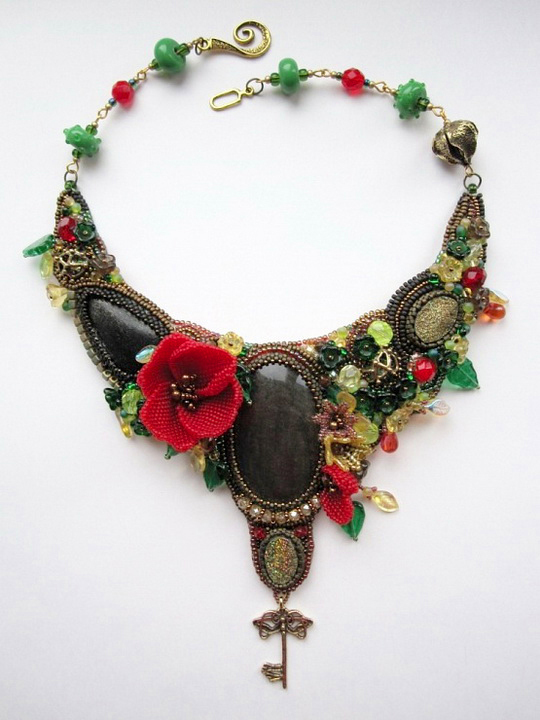 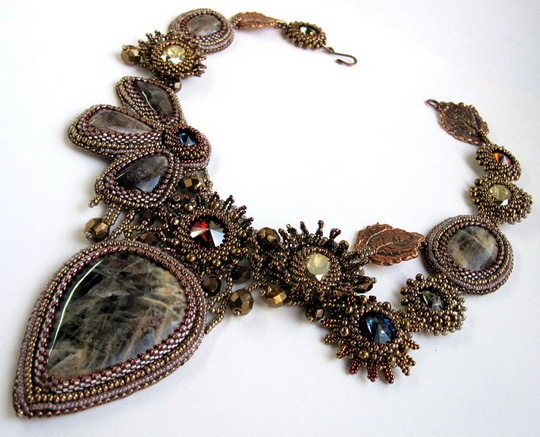 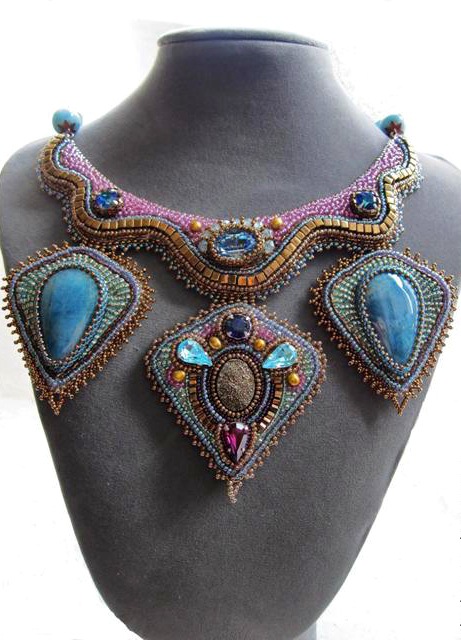 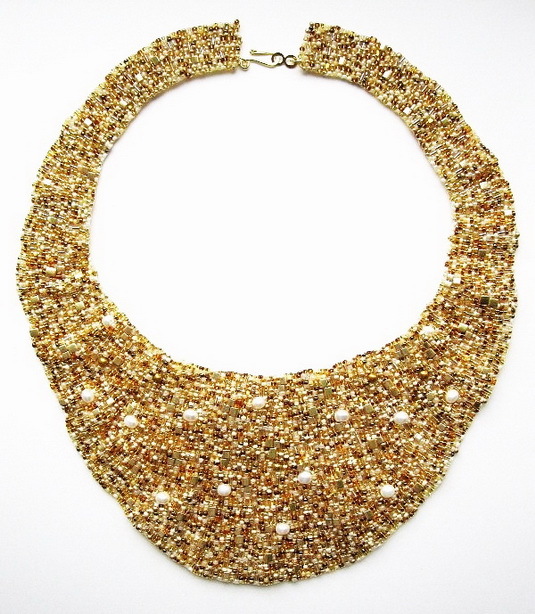 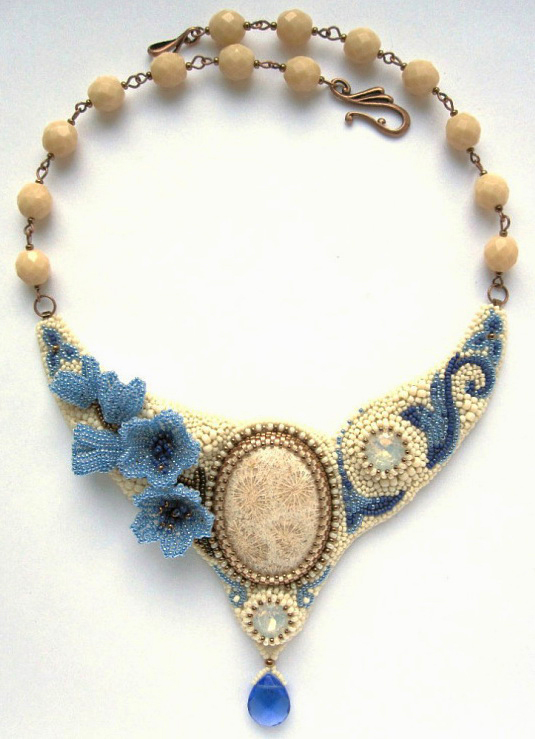 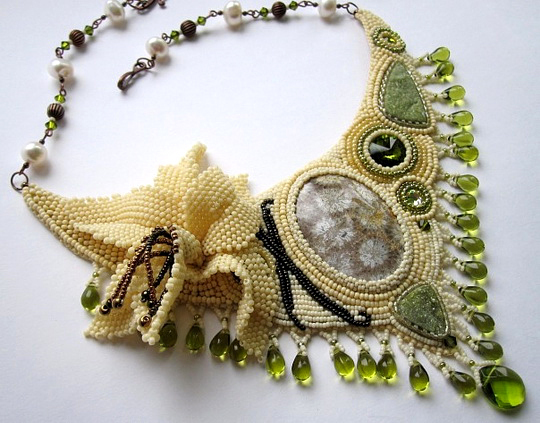 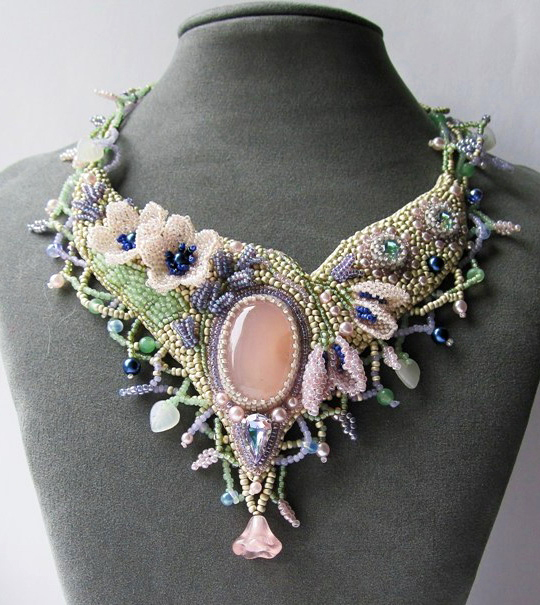 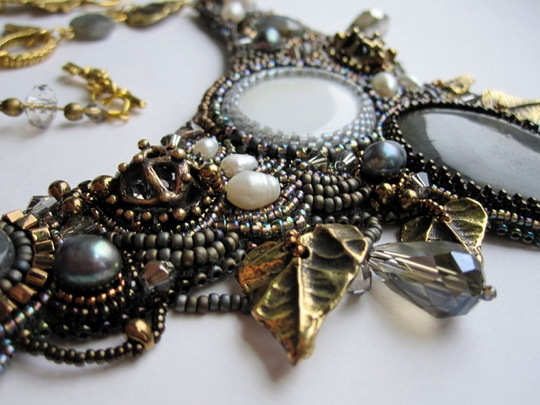 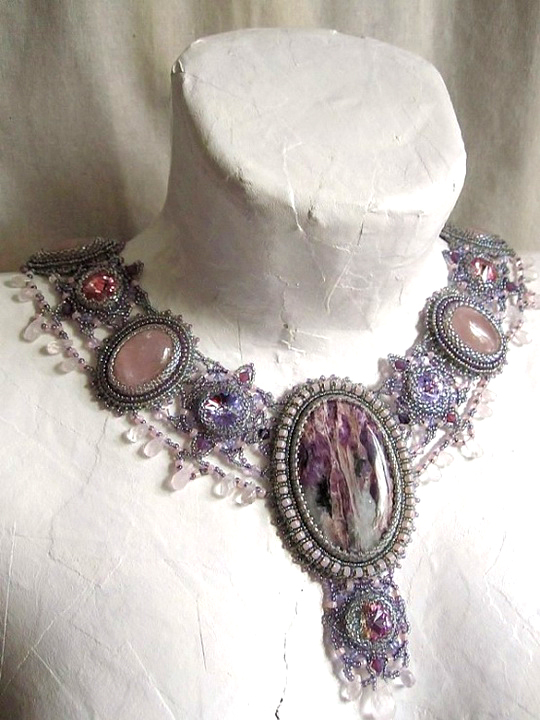 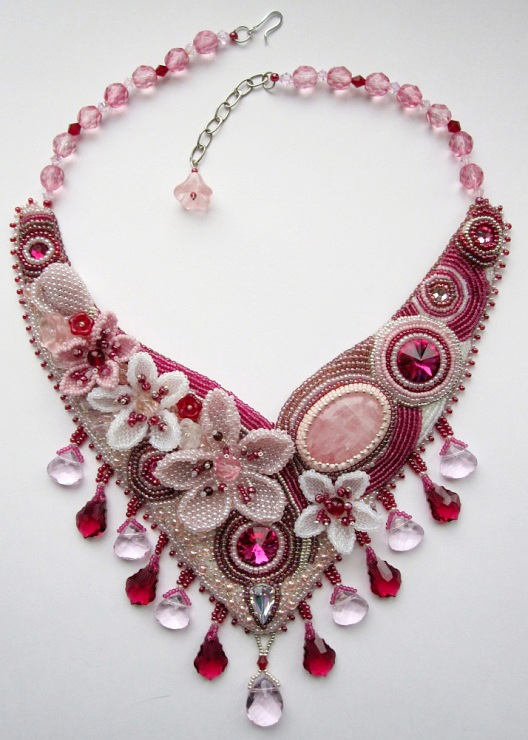 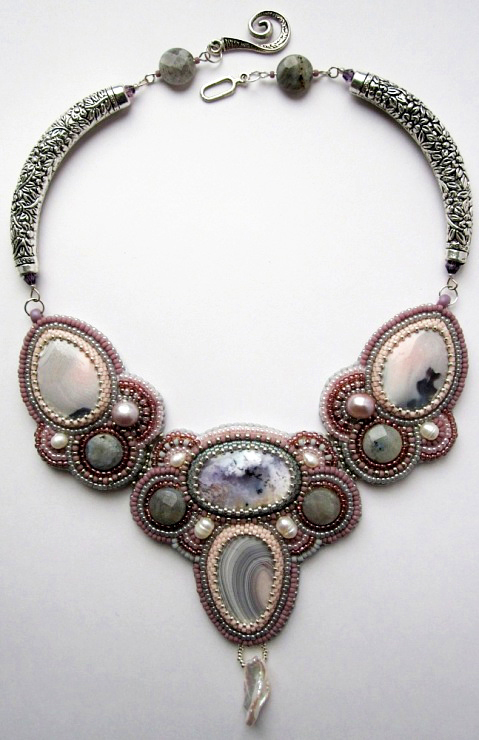 Alina Limonova is russian beadwork artist. 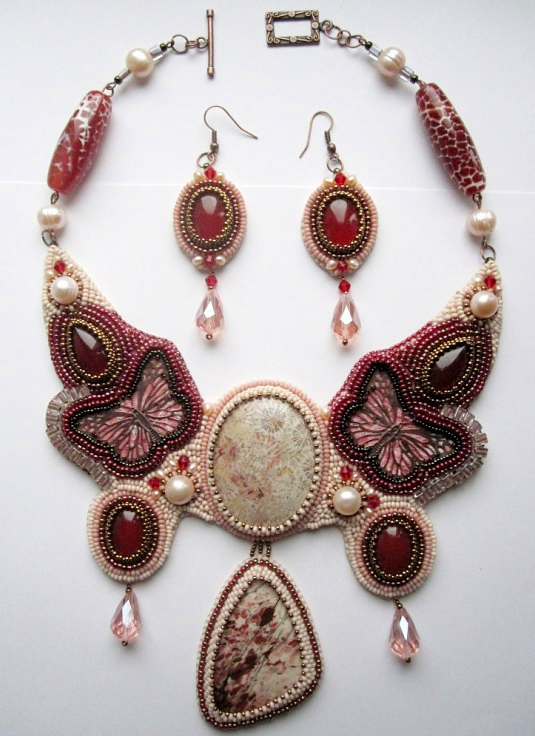 She makes pretty bead embroidered jewelry. 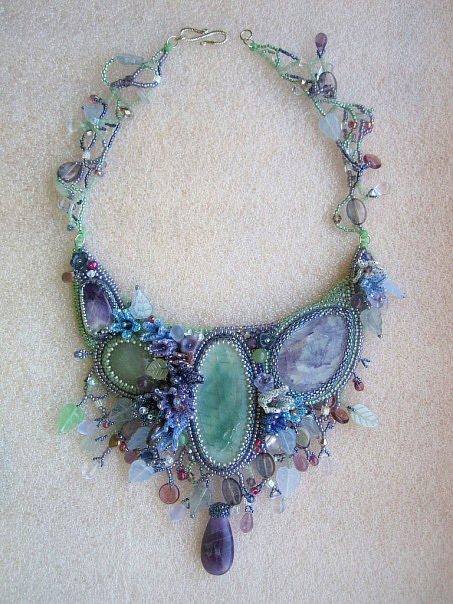 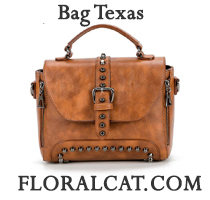 How can I find out the price of your beautiful necklaces. 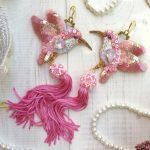 I am especially interested in #14. 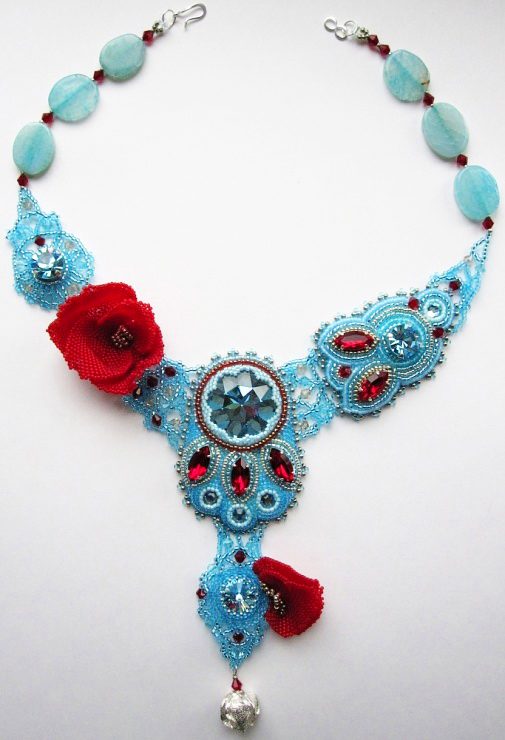 It has lots of blues and turquoises.